DAVID LE/Staff photo. 6/26/15. 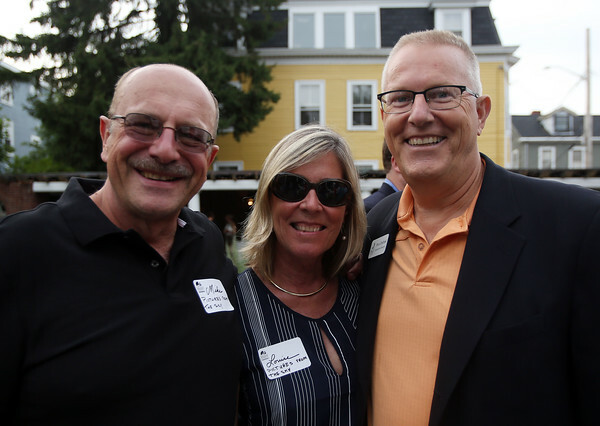 Louise Michaud, and Mike Magee, of Pictures from the Sky, and Rinus Oosthoek, of the Salem Chamber of Commerce, at the Salem Chamber of Commerce After Hours networking event held at the Brookhouse Home for Women on Derby Street on Thursday evening.